Jackson Hole, Wyoming is a place unlike any other. Truly an American original, Jackson Hole is widely known for Jackson Hole Mountain Resort (JHMR), one of the top ski destinations in the country, if not the world. Media and skiers often rank JHMR as the #1 ski resort in North America. Recently, Forbes put Jackson Hole Mountain Resort on its list of “The Top 10 Ski Resorts In North America .” In addition to JHMR, the area has two other ski resorts; Grand Targhee and Snow King. The former is a 75-minute drive from downtown Jackson over Teton Pass. Snow King, also known as the “Town Hill,” is in downtown Jackson. Nestled between the Teton and Gros Ventre mountain ranges, and bisected by the Snake River, Jackson Hole is located in far northwest Wyoming, right on the state’s border with Idaho. Jackson Hole is a valley about 42 miles long and 8 miles wide; Jackson is the valley’s most populous town. With an authentic, spirited, and distinctive Western mountain character, Jackson Hole is a popular destination for adventure-seekers in all seasons. Jackson was named in 1894 after trapper David Edward “Davey” Jackson, who trapped beaver in the area in the late 1820s. The town of Jackson was incorporated in 1914, and, to this date, remains the only incorporated town in the valley. The name “hole” was a term used by early trappers or mountain men to describe a high mountain valley. Jackson Hole refers to the entire valley. Pre-dating mountain men and trappers and homesteaders, Native Americans lived here seasonally for hundreds of years. Because the soil is not ideal for raising crops, when homesteaders first arrived, they ranched rather than farmed. 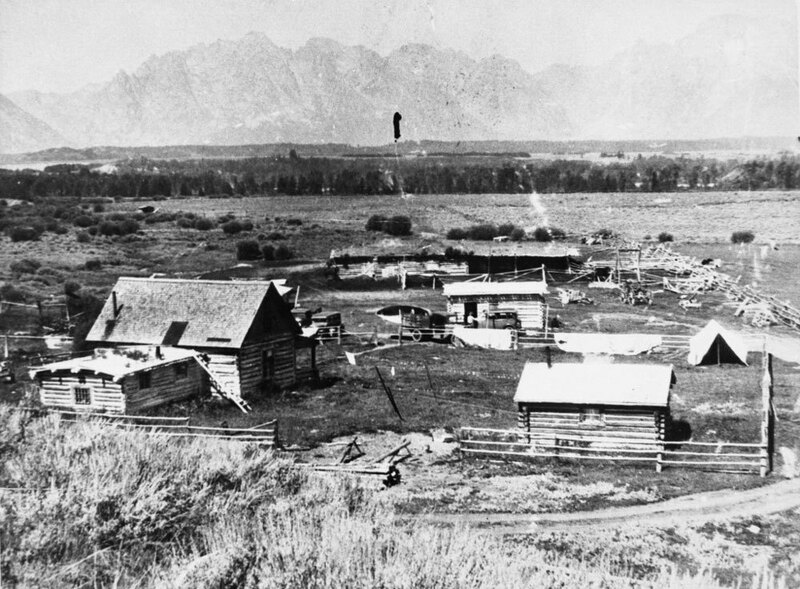 Tourism quickly became popular with the establishment of dude ranches. 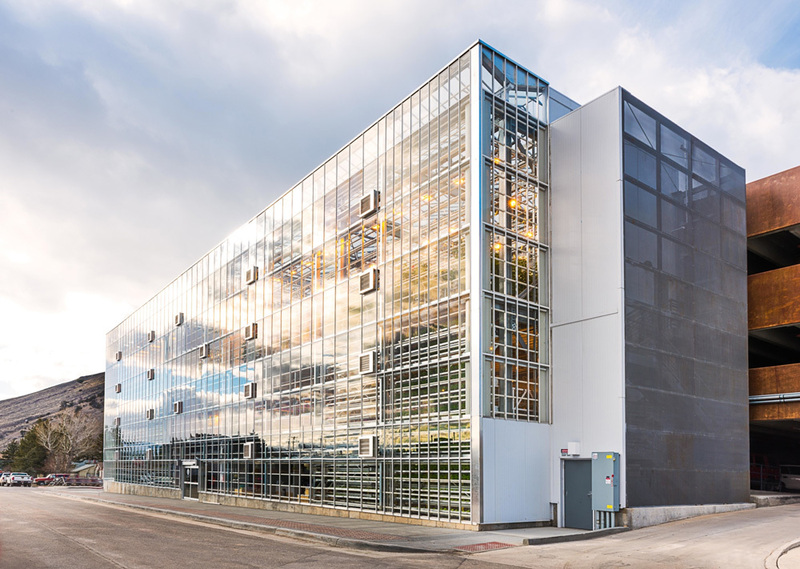 Vertical Harvest is Jackson’s very own three-story hydroponic greenhouse that provides inclusive employment for people with different abilities by growing local food for our community. Produce is available on site and public tours are offered weekly. The Anvil Hotel is a renovation of a 1950s ski hotel located in Jackson's historic downtown, which completed renovations in the spring of 2017. The property includes a wood-fire Italian restaurant called Glorietta Trattoria, featuring a beverage program from Proprietors LLC (the minds behind NYC’s Death & Co.), a lobby that functions as both a café and mercantile with a retail shop by Westerlind, and 50 newly designed rooms. Managed by Filament Hospitality and designed by Brooklyn-based firm Studio Tack, the overall redesign is modern, yet rugged, reflecting the terrain and culture of Jackson. Snow King, a short distance from Jackson’s Town Square, offers skiing in addition to lift-accessed tubing, a treetop adventure park, the state’s only alpine coaster, and an ice climbing park where Exum Mountain Guides offer lessons. Grand Targhee, located on the western slope of the Tetons, is known for its champagne powder, western hospitality, scenic beauty, excellent value, and, starting this season, farm-to-table menus. The ‘Ghee is excited to announce its new chef, David Hugo, focuses on farm-to-table style dining, and sustainable farming and cooking practices. Hugo created new menus for The Branding Iron—lunch, après, and dinner. Targhee also has a new private guest locker room in its Rendezvous Lodge. The locker room has 56 lockers, boot dryers, couches, a flat screen TV, and a private bathroom. The Jackson Hole Nordic Alliance has created the valley’s first comprehensive website for Nordic skiing and fat biking destinations and conditions. It’s also partnered with local organizations to enable more frequent and regular grooming of skate skiing and classic tracks. The Alliance’s website, jhnordic.com, includes over 200 ideas for places to Nordic or classic ski and even to fat bike. The website also has grooming reports and trail conditions. Jackson Hole Mountain Resort is known worldwide for its iconic status as “The Big One” due to its vertical rise and rugged terrain. JHMR has the longest continuous vert of any ski area in the U.S. It rises 4,139 feet from the valley floor to the top of Rendezvous Mountain. Jackson elected the first all-woman city council in America (in 1920). Wyoming was the first state to have a woman as governor and it was also the first state to give women the right to vote (in 1869). 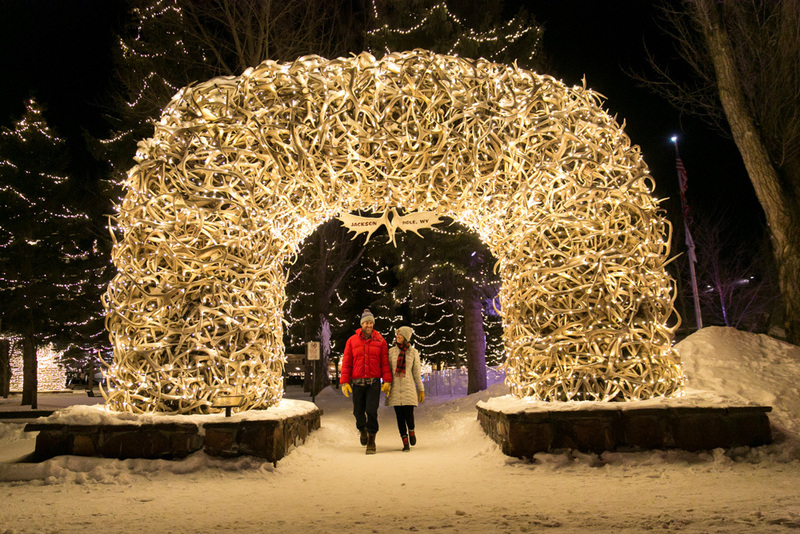 The elk antler arches on each corner of the Town Square are one of the most iconic images associated with the area. No elk were killed for the arches to be made. Elk annually shed their antlers. The official name of the Town Square is George Washington Memorial Park. More than 2.6 million people visit Jackson Hole each year. Jackson’s population is just over 10,000, and despite growth in recent years, still evokes a quaint charm and small-town ambiance. Celebrities live and vacation in Jackson Hole. Travis Rice, considered by many to be one of the world’s top snowboarders was born and raised here and continues to live here. Jimmy Chin, a North Face Athlete, adventurer, photographer, climber, skier, and filmmaker has lived in the area for nearly two decades. His photographs have been featured in National Geographic and his movie Meru won the Audience Favorite Award at the Sundance Film Festival. Movie stars, including Sandra Bullock and Harrison Ford, own homes in the valley. British singer James Blunt recorded a music video for his single “Bonfire Heart” in and around Jackson Hole, and Quentin Tarantino filmed part of the movie Django Unchained here. Jackson Hole is not just about skiing. There’s something for everyone—shopping, destination spas, award-winning dining, museums, concerts, dance performances, and a vibrant nightlife. If looking for a one-of-a-kind gift, maybe even made by a local artisan, stop into MADE. The whimsical boutique features a carefully curated selection of handmade items including glass belt buckles, flasks made from trail maps, painted antler tip necklaces, and more. Jackson Hole is the gateway to two national parks. Much of the land not protected by one of these parks is dedicated as national forests or a wildlife refuge. The valley is a photographer’s paradise—you’ve seen Ansel Adams’ Landscapes of the Tetons?—for its scenery and wildlife. Animals that call the valley home include grizzly and black bears, elk, moose, coyotes, wolves, bison, eagles, and Trumpeter swans, among other species. In winter, about 7,000 elk migrate onto the National Elk Refuge, which is immediately adjacent to northwest Jackson. The Bridger-Teton National Forest, which abuts the eastern side of the town of Jackson, is the largest national forest in the lower 48 states, encompassing 1,694,574 acres.